The headline story is Paul’s cross country achievement, pushing through northerly winds to arrive at Kirton. Once the formalities are sorted out this may be the second stage of his Silver C completed. Congratulations. Look at the clubhouse for evidence of location! 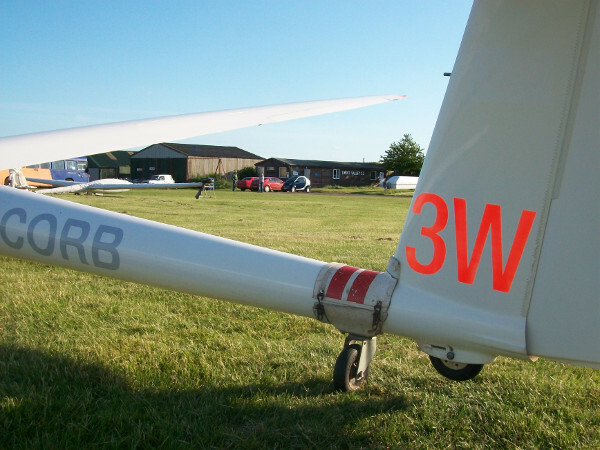 A great soaring day – about 10 hours flown by four P1 pilots in only eight launches. Cloud base was above 5000′, with plenty of opportunity for Silver height gains to be achieved – for those who don’t already have them and had a data logger on their person (oops, that will be no-one then). 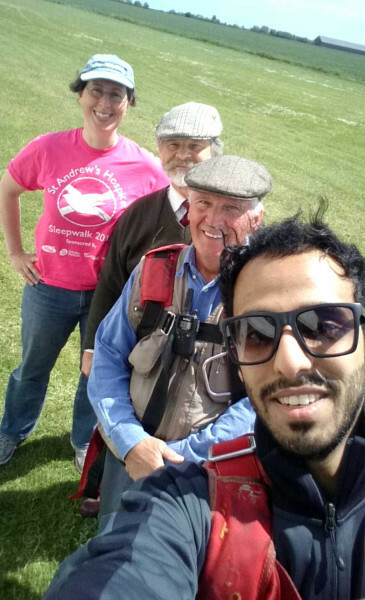 Abdullah Al-Shehri and his crew delighted after nearly an hour in the air! A really small team kept everything running, the other usual suspects having made alternative plans when we thought no instructor would be available. A few people came by on spec to make use of their free temporary membership or to take a trial lesson and were treated to a day of Strubby at its finest.